The Kaytee Finch Station makes attracting and feeding finches easier than ever! 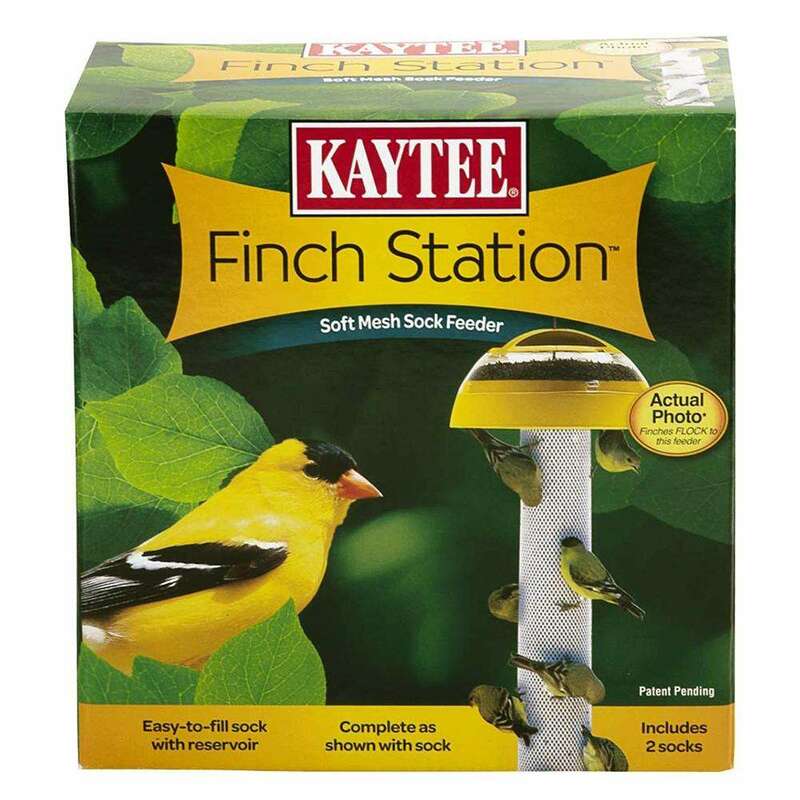 Finches adore soft mesh socks and prefer them over traditional tube feeders. The unique, Squiggle Sock design provides more surface area that enables finches to perch wherever they want, and allows for numerous birds to eat at one time. Feeder attracts Goldfinches, Lesser Finches, Purple finches, House Finches, Redpolls, Pine Siskins, and Indigo Buntings. Durable, coated metal cable is looped and ready to hang. Easy-to-fill, cover stays up and out of the way during filling. Unique gravity fed system allows seed to flow into sock. Strong weather-resistant dome reservoir stores extra seed, keeping sock filled longer. Strong built-in elastic band attaches sock easily to the seed port under the dome reservoir. Unique Squiggles Sock offers more surface area for flocks of finches to comfortably eat at the same time. Soft mesh sock makes it easy for birds to take hold and enjoy their food.